Why do red beans and rice taste better on Monday? Monday is the traditional day for red beans and rice. If you're jonesing for a bowl, get some to go at Frenchy's on Scott, or if you're downtown, sit down at Treebeard's on Market Square for lunch. A cup of red beans with a link of sausage, a side salad, iced tea, and all the French bread and butter you want will set you back eight dollars and change at Treebeard's. Back in the day, when ham was the traditional dinner on Sunday and Monday was laundry day, Mom put the red beans in a pot with the hambone and simmered it slowly with holy trinity (bell pepper, onion, and celery) and the usual spices (thyme, cayenne, and bay leaf) while doing the wash. If there wasn't a hambone to be had, andouille sausage or tasso ham were substituted. My old friend Pableaux Johnson brought back the tradition. He hosts a red bean supper at his home in New Orleans. Last fall, when I was coming into NOLA on a Monday, he asked me to stop at Jacob's in LaPlace to pick the andouille. 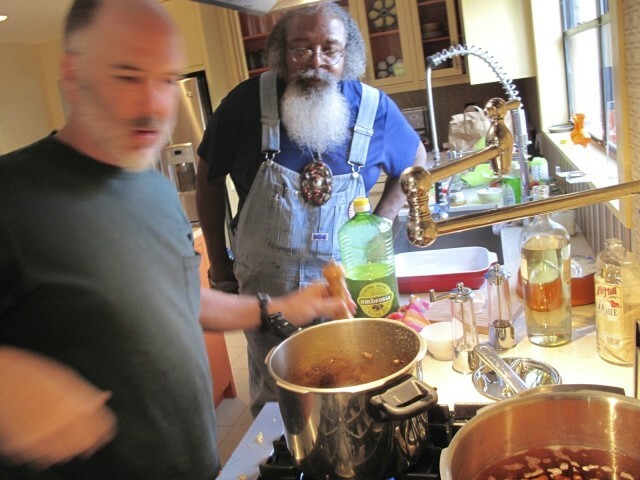 That night, I met a bunch of NOLA food lovers at his place including the Barbecue Bus crew chief Rien Fertel. 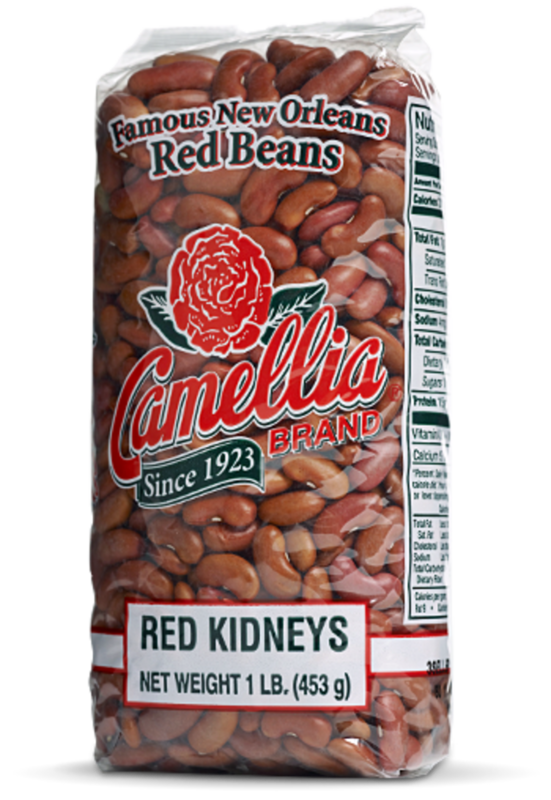 Camellia red beans in his station wagon and set out on what he called "The Red Beans Road Show," cooking red beans and rice for folks all over the south. At my house, the late Bert Long joined us for dinner along with Jim Gossen and some other Louisiana ex-pats. 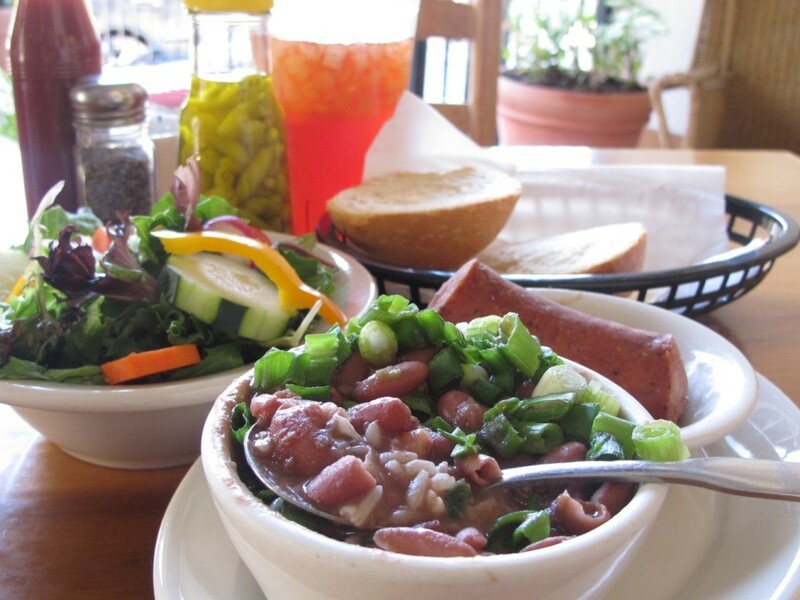 Pableaux's red beans are worked until they are creamy, well seasoned, and loaded with sausage. The ones at Treebeard's are pretty plain. It took a whole lot of Louisiana pepper sauce to make them palatable.